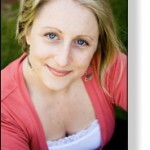 Hi You All.....Meet the fabulous Tara Sage Steeves, a A Juicy, Joyful Life co-author. Is it true? Or is it false? "I need to work on eliminating my fear first, before I pursue my dreams." "My dream is best kept to myself until I have a clear plan of action." "People I trust have told me my dream is unrealistic, so I'm doomed to fail." "My dream is too big/small/silly/vague, and I need to find a better dream." "I'm happy, so I don't have any dreams." "I don't have enough (fill in the blank) to start now." "There's no risk in staying put." All are 110% False. Yet, these beliefs and misconceptions undermine and sabotage people's dreams every day. Tara is on a mission to change this. • That what you want is not only possible, it's probable. • That there's a proven process you can follow to "get there". • That you really don't have to do it alone. • That you really can start right now...putting yourself on an accelerated path to accessing and living the dreams in your heart, and create a life that you can't wait to get-up-and-out-of-bed for in the morning! "How to go from Dreaming to Reality in 9 Accelerated Steps!" ==> How to consistently and powerfully manage your energy and time so that your dreams gain more momentum every day. ==> How to shift from fear and doubt into an expanded belief about what's possible, even probable. ==> How to move forward with the confidence, clarity and focus of aligned action. "How to go from Dreaming to Reality in 9 Accelerated Steps! " Click Here to claim your complimentary seat right away.